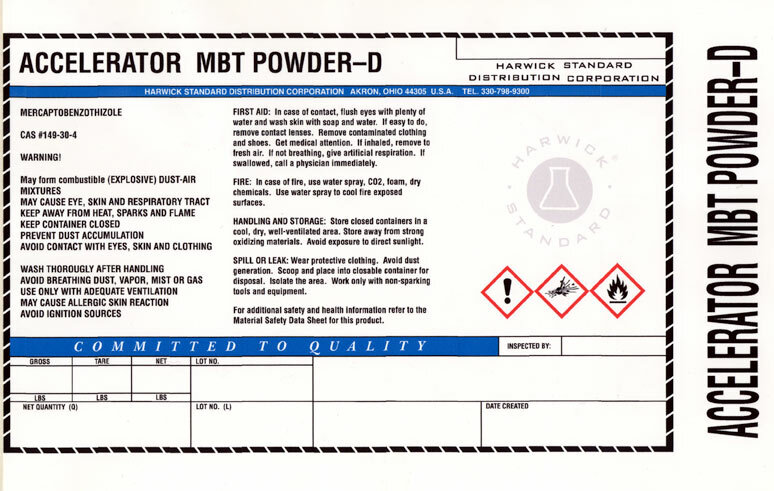 By now you've probably started transitioning your old HazCom labels to a GHS form label. With the June 1, 2015 deadline here, we're looking at some of the challenges chemical manufacturers have faced. If you're encountering any of the issues below, you're probably not GHS compliant. Big changes are coming for chemical manufacturers and workplaces that use chemicals. We've been talking about ways to comply with the Globally Harmonized System of labeling chemicals since the final ruling was announced by OSHA in 2012. As we're getting closer to one of the biggest deadlines, let's go over some questions that we're often asked by our customers. If you have a question that wasn't answered below, contact our GHS labeling expert. When are the deadlines for compliance? The deadline for GHS label compliance is June 1, 2015. However, there are some exceptions to this deadline. If you're making an effort to comply but you're still waiting to obtain the SDS, you won't be fined. Also, if you still have products labeled with the old label, you can still sell these products until December 1 2015. The absolute final deadline for compliance is June 1, 2016. 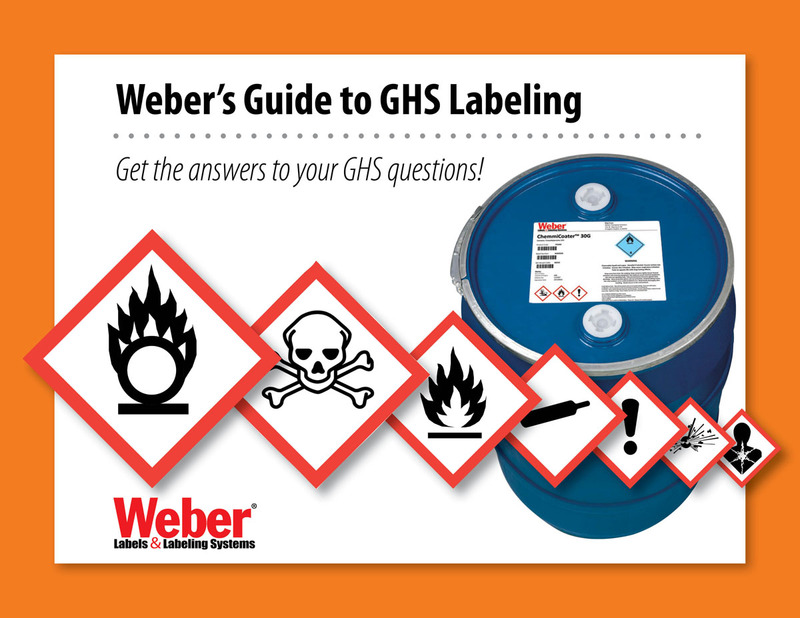 What are the main components of a GHS label? There are six things you must include on your label. Product Identifier - The product identifier is the title on the top of the label. This should match the product identifier on the SDS. 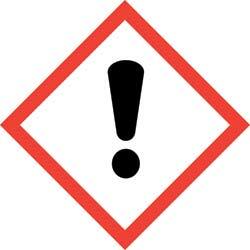 Signal Word - All GHS labels must include the words "DANGER" or "WARNING." The signal word “DANGER” identifies chemicals and products that present, relatively speaking, a greater or more immediate hazard to the worker. The word “WARNING” identifies chemicals and products that present a lesser (although still potentially harmful) degree of hazard. Hazard Statements - Under the signal word a hazard statement must be included. This is where people can find the risks involved with handing the chemical. Pictograms - There are nine different symbols you might use to convey the specific hazard information visually. These include Explosion, Corrosion, Oxidizing Flame, Gas Cylinder, Environmental Hazard, Skull & Crossbones (fatal), Exclamation Mark, Health Hazard and Flammable. Where do I get the required information for my label? There are requirements that you must include on your label such as pictograms, warning statements, etc. All of that information comes from your chemical's Safety Data Sheet (SDS). Typically, a third-party organization is used to determine the content of the chemicals and provide you with an SDS. Review Appendix C of OSHA's ruling for more information on the specific details you'll need to include. Is there a specific GHS label material that I will be required to use? If your container is being used in the US only, you do not need to comply with a specific material requirement. The only requirement is that the label is legible for users for the lifetime of the label. If you're exporting the chemical, the GHS label must be BS5609 certified. We recommend a durable label material and ink that will stay legible and in tact during harsh conditions. Can I leave the red pictogram diamonds blank? No. You either need to use a label template with the exact number of pictogram diamonds you'll need or you'll need to completely black out the unnecessary pictogram with black ink. If you're printing your labels on-demand with an Epson color printer, this will not be an issue. Since the final ruling was announced by OSHA, we've been researching options for customers because we knew this change would affect everyone from manufacturers to day-to-day chemical users. In fact, we had to make changes to the chemical bottles we use in our plant. 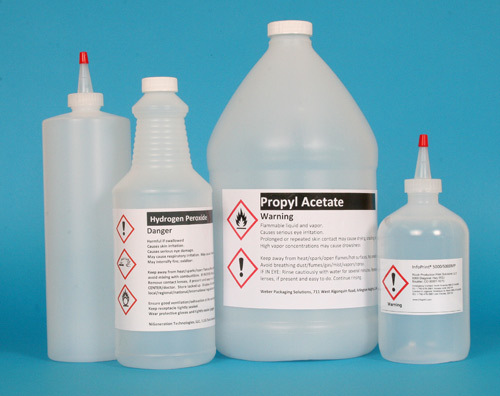 How do I comply with GHS regulations for chemical bottles? By now you've probably heard that OSHA is requiring updates to the Hazard Communication Standard label to comply with the Globally Harmonized System (GHS) label. As we've mentioned before, the challenge for chemical manufacturers and distributors will be the multi-color requirements of the GHS label. 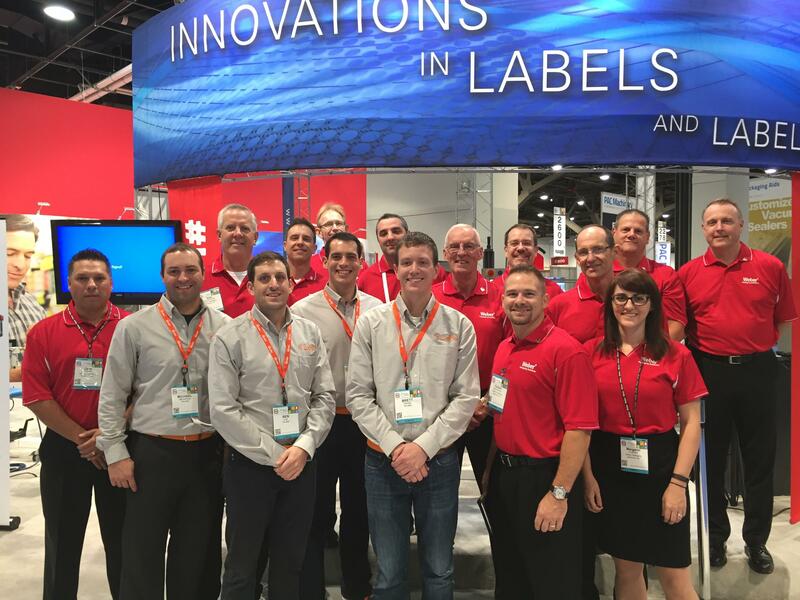 In the past, your label manufacturer would print thousands of your labels with a template of the HCS label. Using your thermal-transfer or direct-thermal printer, you would then imprint the variable product information required by your industry. With the new GHS labeling format the red diamonds cannot be left blank in a template form, they essentially become part of your variable information. We've talked about using an Epson ColorWorks in an earlier blog. This allows a manufacturer to print large drum and pail sized labels with durable materials and ink. But an interesting issue came to light on our own manufacturing floor: the relabeling of small chemical bottles used on our label presses. If your manufacturing facility is like ours and you need GHS labels on small bottles around the plant, try what's worked for us. All of our small chemical bottles are labeled by our Safety Team using the Epson ColorWorks C3500 Inkjet Label Printer. We're able to print all of the necessary GHS safety information using durable inks and materials that won't run when they come into contact with the chemicals. This is an affordable printer that will fit nicely into your manufacturing process. Take a tour of the Epson ColorWorks C3500 with our Vertical Markets manager, Paul Johnson. Don't forget the GHS mandate deadlines are approaching! Keep in mind these importants dates for GHS labeling. If you're experiencing challenges with GHS regulations, get a free audit from our GHS experts to learn if you're complying properly.